Delicious and tasty, these honey and mustard chicken skewers are a great way of changing up dinner for your little ones; by placing the chicken on skewers their dining experience is far more exciting! Dice the chicken and cover it in the marinade. Leave to infuse for a minimum of 20 minutes, ideally overnight. 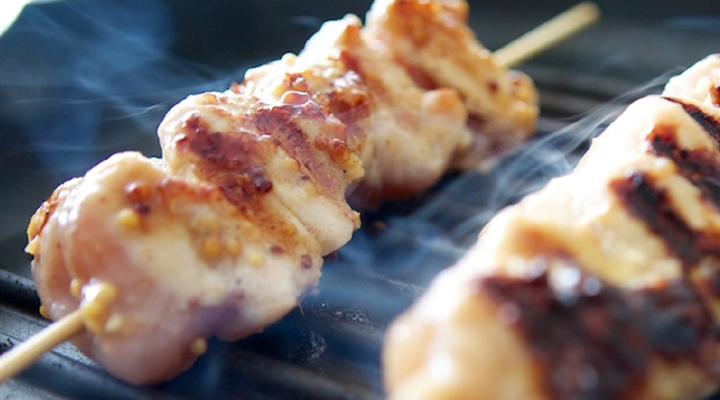 Place the chicken on skewers. Heat a griddle pan with some olive oil and fry off the chicken for 5-6 minutes a side until fully cooked.